We know regulatory exams can be stressful, and preparing for them isn’t always simple. We’ve been helping banks and credit unions manage interest rate risk and confidently prepare for regulatory exams for over 30 years. 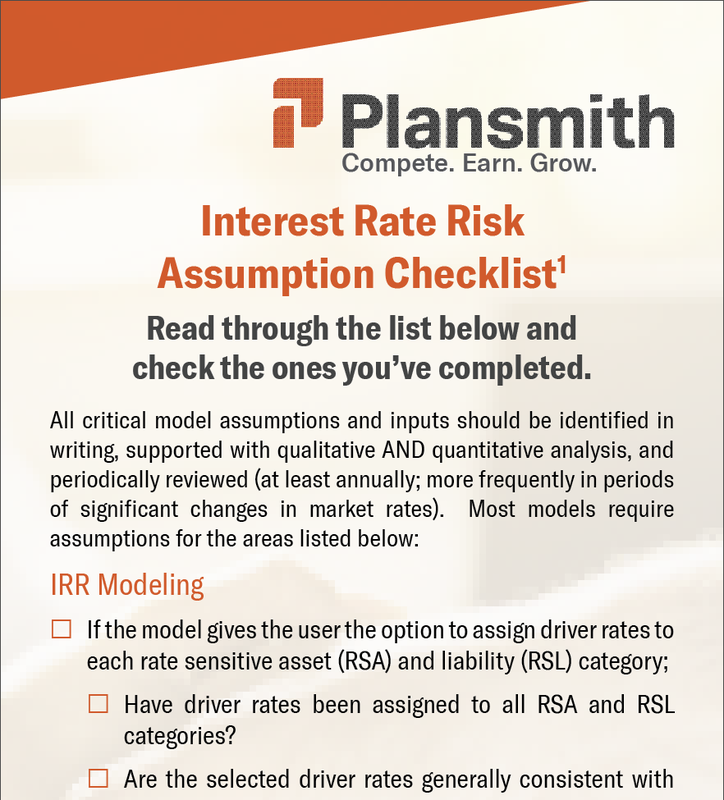 To make things a little easier, we’ve created an Interest Rate Risk Assumption Checklist. It includes the items a regulator will be looking for during your next exam. Run your eyes over each section to make sure you’re covered.